This is a wonderful post about one of my favorite subjects: Coffee!!! Elsie and Emma of a Beautiful Mess share recipes for a variety of flavored coffee syrups. These would make a wonderful gift for any coffee lovers in your life. The recipes are very simple. It’s also pretty cost-effective. 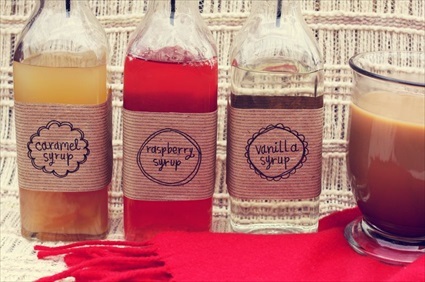 Click on the Make Your Own Homemade Flavored Syrups for Coffee link below to see all 3 recipes.